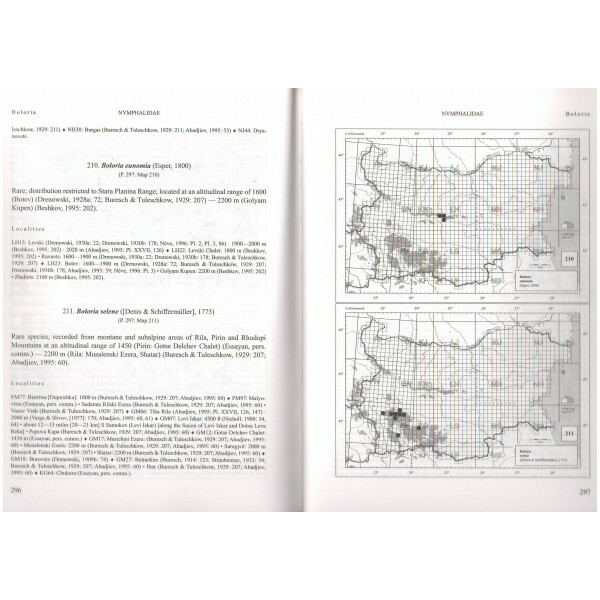 Abadjiev S. P., 2001: An Atlas of the Distribution of Butterflies in Bulgaria (Lepidoptera: Hesperioidea, Papilionoidea) - ENTO SPHINX s.r.o. 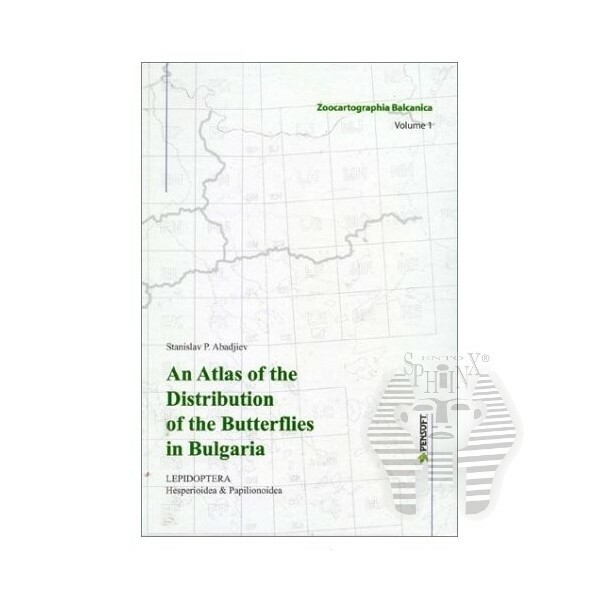 The book presents in a consistent form all known published and field research information concerning the distribution of the Bulgarian butterflies (216 species), covering the period of 1863-2000. A cartographic system based on UTM grid has been used for the presentation of species distribution. The species data comprise UTM grid reference, locality and source. The species of nature conservation concern have also been indicated. 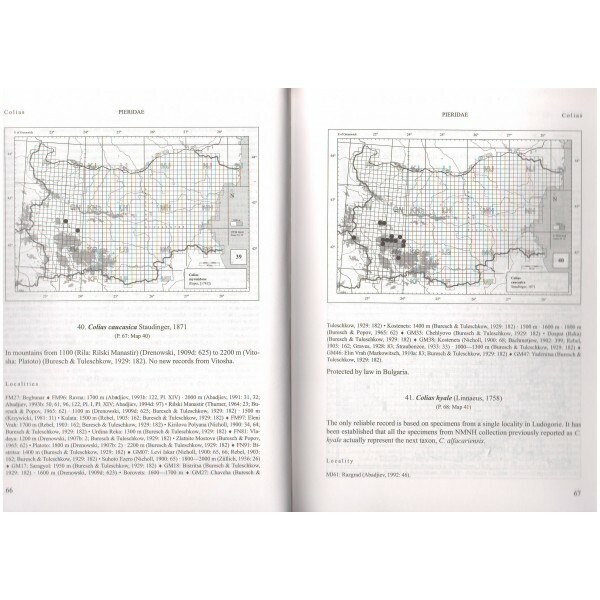 Maps and data presented in the atlas allow quick and easy analysis of the type and structure of the species ranges and the current level of research. This information may help in the future selection of the species and areas for protection, serve as a basis for monitoring of the endangered species, and should enable evaluation of the areas in terms of faunal richness. A very precise and well-done work! The author is a Bulgarian, born on 16 March 1964 in Kyustendil. Graduated at Sofia University, Faculty of Biology, Department of Zoology & Anthropology. MSc (1991), PhD (Entomology) (1999). 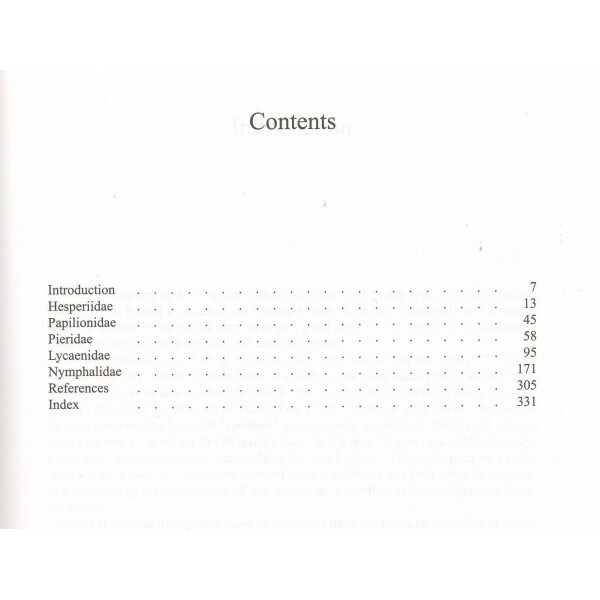 Has written more than 40 scientific papers on taxonomy, faunistics and biology of butterflies. 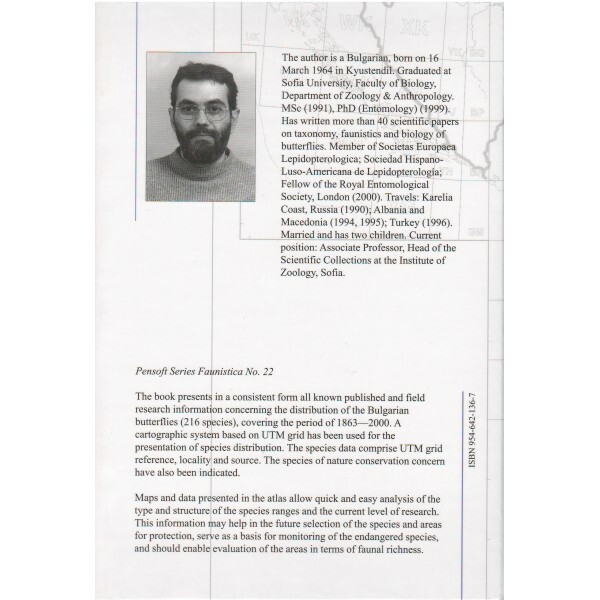 Member of Societas Europaea Lepidopterologica, Bern; Sociedad Hispano-Luso-Americana de Lepidopterologia, Madrid; Fellow of the Royal Entomological Society, London (2000). Travels: Karelia Coast, Russia (1990); Albania and Macedonia (1994, 1995); Turkey (1996). Current position: Associate Professor, Head of the Scientific Collections at the Institute of Zoology, Sofia.